Do you have any idea how powerful your memories can be? 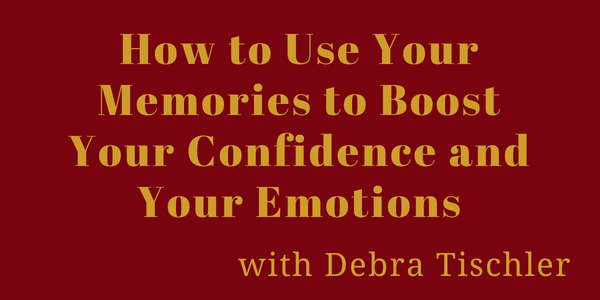 My guest today, Debra Tischler, is an Emotions Coach, Certified RIM Facilitator (Regenerating Images in Memory), Certified Success Principles Trainer and Personal Coach, and a Licensed Massage Therapist. She’s going to be sharing with us the RIM process she practices to dig deep into our memories and use these to boost our confidence and our emotions. She’s also offering MANY excellent bonuses that you don’t want to miss out on! Tune in today!